Bioactive is a scientifically formulated combination of natural raw materials. Each of these ingredients have been chosen for their individual energy and vitality giving properties. Bioactive is a pre race/competition energy booster syringe. It combines Bee Pollen, TMG, L-Carnitine and Vitamin B12 in a convenient feeding syringe to ensure your horse ʻstays the distanceʼ. Feed one syringe of Bioactive each day for 2 days before the race/competition and one syringe the morning of the race/competition. Enhances the oxygen carrying capacity of red blood cells. Improves utilization of lactic acid which reduces muscle cramping. Provides methyl groups for the biosynthesis of Acetyl Choline which is necessary for neural transmission and the resynthesis of ADP to ATP in the breakdown of carbohydrates to release energy. Vitamin B12 plays a key role in the maintenance of red blood cells but in this application the main purpose is to maintain aggressive appetite. Bee Pollen is thought to enhance energy release and increase stamina. L Carnitine is an amino acid whose concentration in plant and grain material is relatively low. 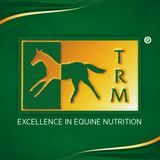 Horses synthesise it in the liver from Lysine and Methionine but not in the quantities to support optimum levels of athletic performance. The most important function of this amino acid is the transport of long and medium chain fatty acids into the mitochondria of the cell where they become a readily available source of energy. Mitochondria generate most of the cell’s supply of ATP which is a source of chemical energy, and it is critically important that fat is being used for energy production thereby reducing the rate of depletion of muscle glycogen. Furthermore, by facilitating the maximum utilization of fat as an energy source L Carnitine helps reduce lactic acid build up in muscle during exercise which can help cause lock up and muscle fatigue post race. Composition: Bee Pollen Powder, Honey.